Is toy storage a drama in your home? 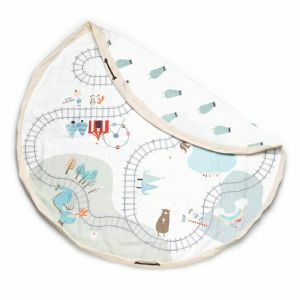 Discover the Play & Go Fantasy Train Map print bag! This bag features a reversible design. On one side is a fun bear design, turn it over and it doubles a train map playmat!